Dreams.pk is Pakistan’s popular online leasing site that empowers you to get items to be it speakers, mobiles, bikes or other home appliances, on astonishing installment plans at the most sensible costs. Here on this site, you can buy speakers, Led TV, Kitchen Appliances and so forth on EMI online. Shopping has turn out to be super simple and is likewise directly under your budget EMI Pakistan. You can appreciate EMI in Pakistan at the simplicity of your home, sitting wherever you are in the country. The online leasing in Pakistan has never been this simple and reachable. Dreams.pk enables you to purchase on EMI with zero down payment all your most love items through a dependable channel. In our current circumstance, majority of our work has been made simpler through the assistance of gadgets for different purposes. They help us to entertain, doing our clothing or be it air cooling, hardware assume a noteworthy job. As the speakers have turn out to be uncommon for a large installment of us. Simple access to them regarding Speakers on Installments is a brilliant activity taken by Awais Farooq. He is additionally the organizer of Pakistan’s first driving on the web examination site, Comparebox.pk. Dreams.pk have a huge collection of Speakers, Smartphone, LEDs, Speaker Tablets and significantly more, from famous brands sold in Pakistan. You say the brand and Dreams.pk will have it. Regardless of what the brand or model is, dreams.pk will have it. As, we have huge assortment from global brands to local brands speaker, mobile, AC or LED or other gadgets. You can purchase any speaker on EMI with zero markup in Pakistan. You should simply choose your item and pick an installment plan in regards to your financial plan. Our site, dreams.pk has each sort of Speakers. These Speaker incorporate the most beautiful ones with structures and the most develop and configurable ones as well. This implies our site has each sort of Speakers you will ever require. These highlights make Dreams.pk as one of those not very many fruitful online stores. 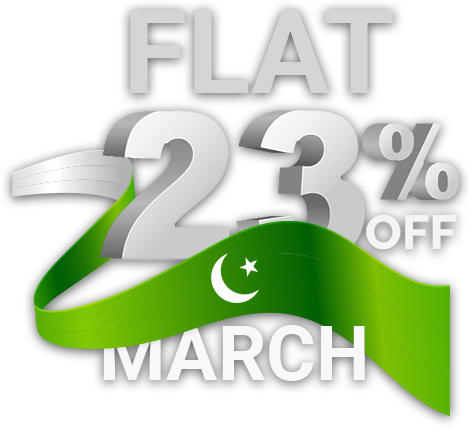 As it enable all the customer of Pakistan to purchase their items both on installment and cash. This online site offers distinctive extremely reasonable and adaptable plans for appliances on an installment of various brands. These Speakers brands accessible on dreams.pk incorporate local people, for example, Audionic and furthermore brand like Beats and some more. This implies now anybody can buy any model of their new Speaker on simple monthly installments in Pakistan. Along these lines buy of Speakers on installments in Pakistan has turn out to be substantially more advantageous and supportive for everybody. Our site likewise encourages you in the purchasing of brand Speakers the easy way which incorporates speakers like Beats, the home theater units, enormous auto speakers and the greatest, most recent, most innovative Speakers. These Speakers can be bought easily as our site Dreams.pk offers adaptable installment designs as indicat by your up front installment or whether you make zero down payment, to get your item on lease in a simple and easy way. You can even purchase speakers on installments without intrigue. You can check arrange history that shows up on our site and watch out for your request. Another significant purpose behind shopping on our site is the simple accessibility of a huge assortment of items. It is possible that you need nearby speakers on installments or brand speakers on installment, you just make a couple of snaps which makes the procedure bother free, consequently on the off chance that you are burnt out on going everywhere throughout the business sectors to locate your reasonable rates or arrangements, can’t set aside out opportunity to visit those overwhelm neighborhood stores or markets to purchase your desire and most recent speaker on installments and can’t locate your desire organization or model anyplace? Stop your inquiry ideal here, in light of the fact that the answer for your issues is certainly dreams.pk as it is the best site for speakers online in Pakistan. Henceforth purchase Speakers on installments online through the best gadgets installment’s site in Pakistan.